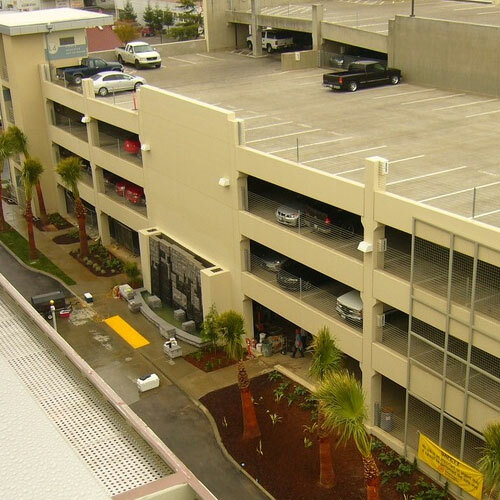 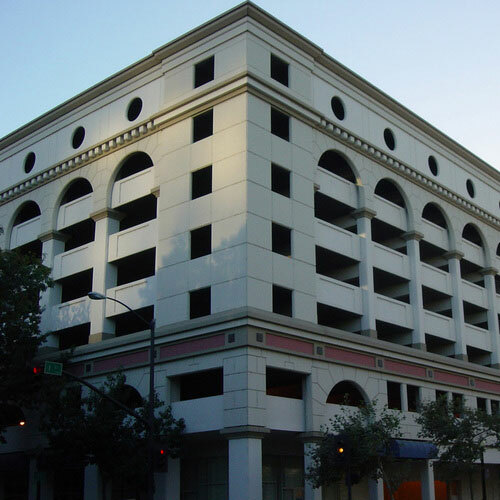 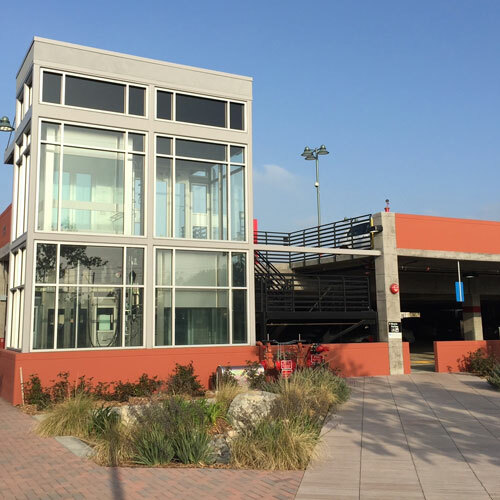 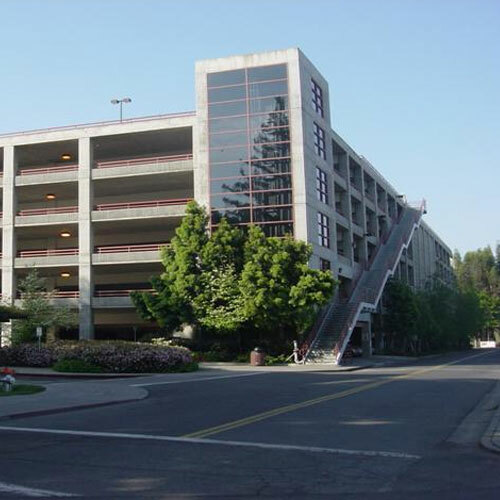 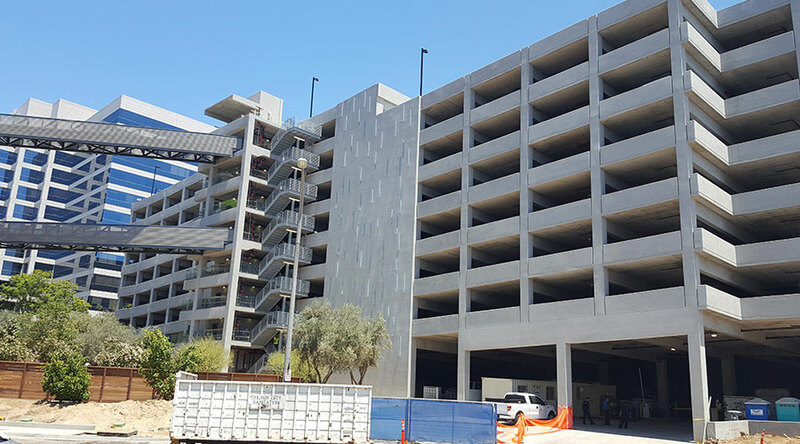 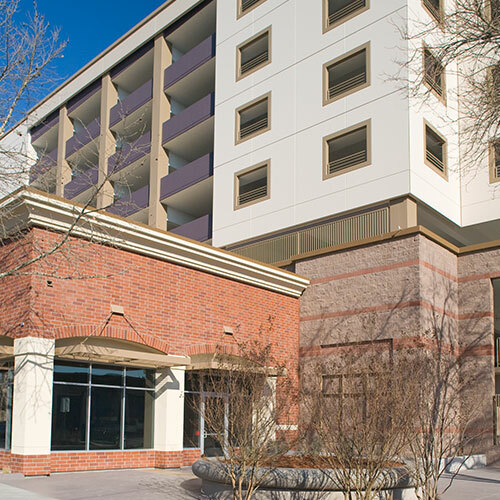 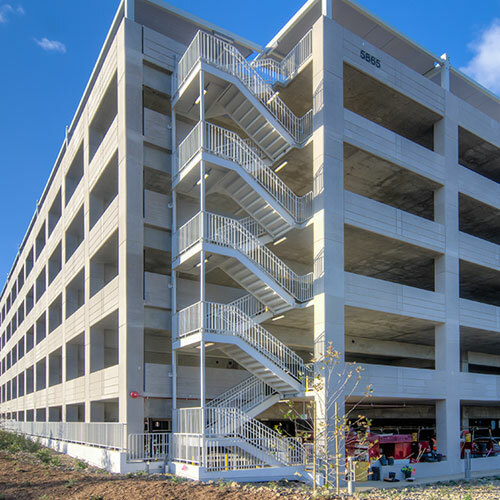 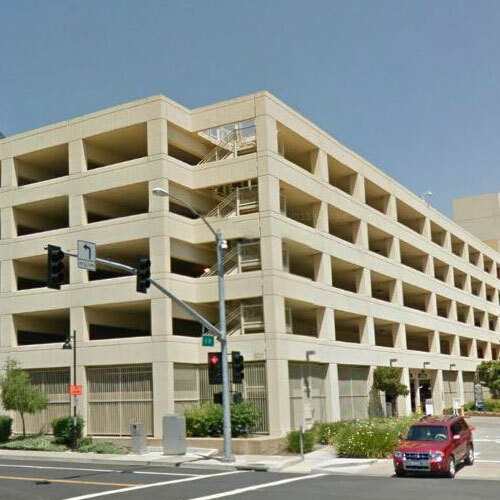 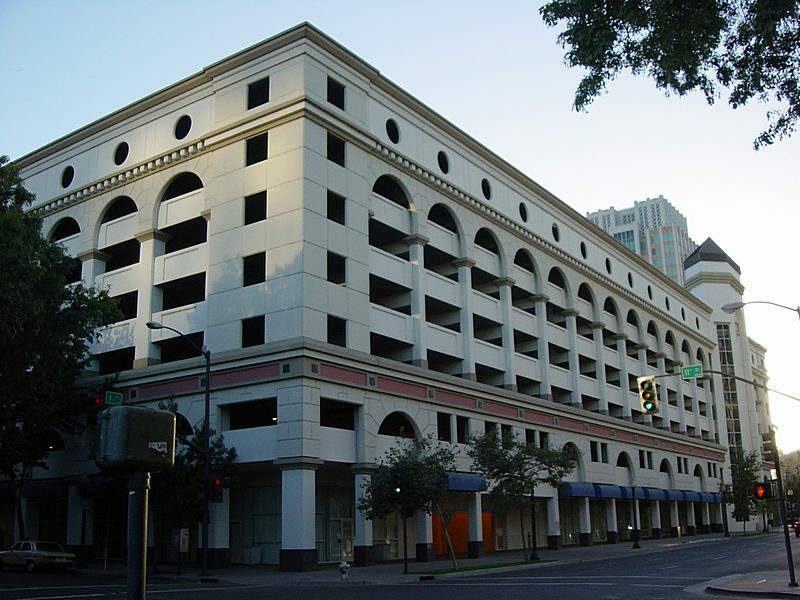 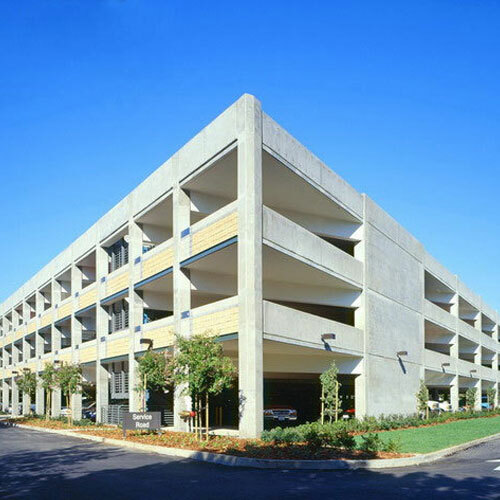 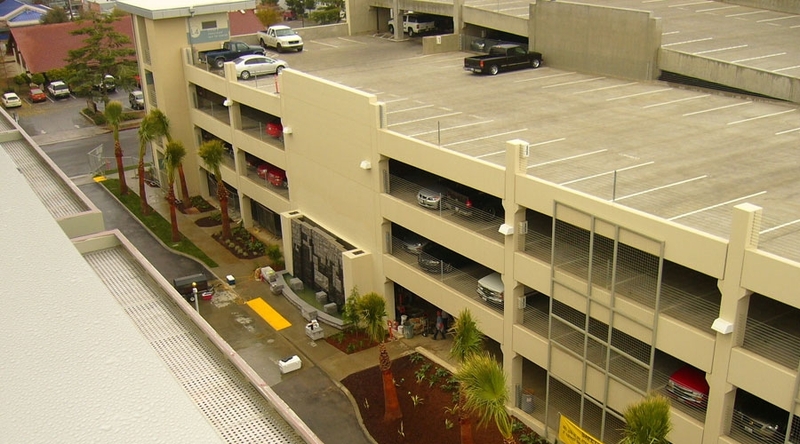 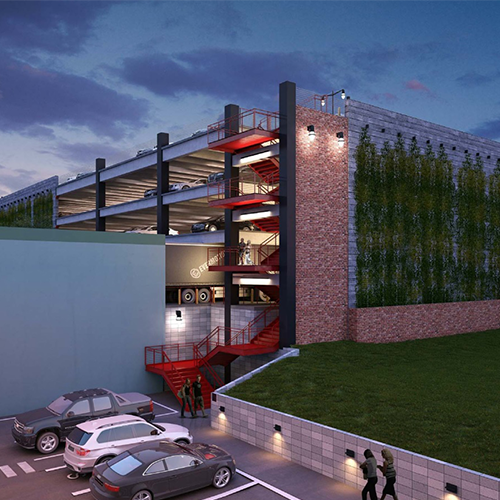 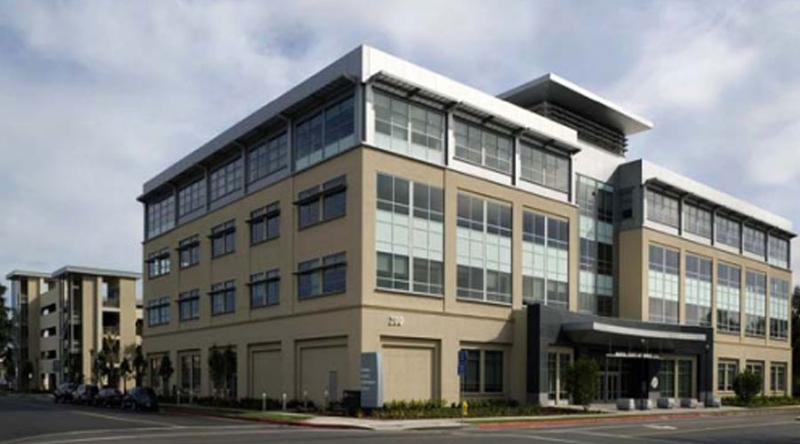 Miyamoto provided structural design services to this 4-story, 130,300-SF governmental office and courthouse building and parking structure for 400 cars. 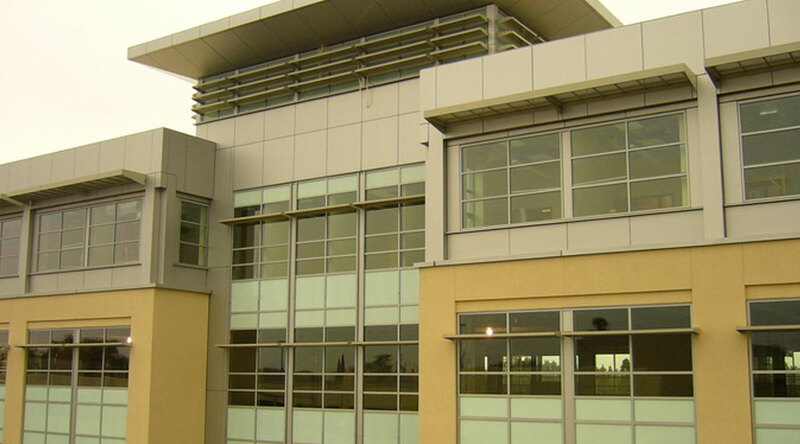 This work consolidated previously scattered county offices and court spaces, which reduced inefficiencies and improved customer service. 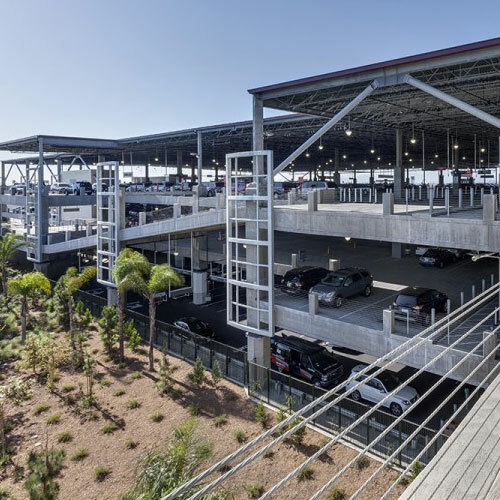 The structure is framed with steel supported by composite concrete above a metal deck that is supported by long-span, lightweight open-web joists that offer column spacing at 50 feet on center for maximum flexibility and minimal floor vibration. 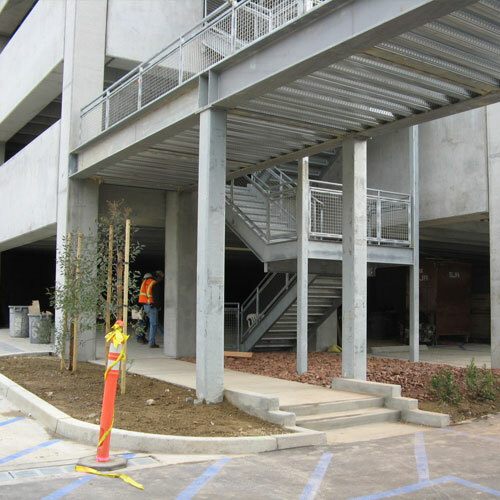 Wide flange columns on shallow spread footings and special moment frames reduce seismic and wind loads. 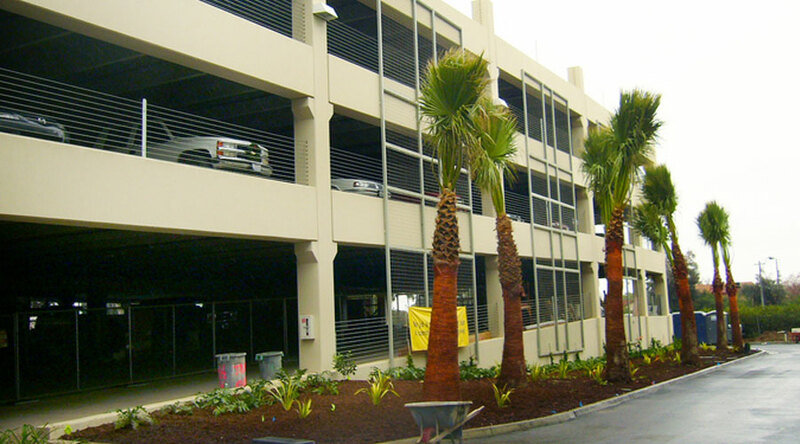 Helical mini-piles are used to resist uplift forces. 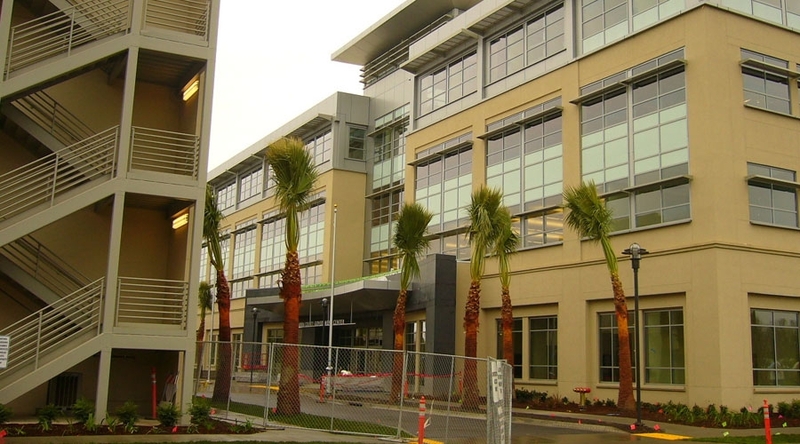 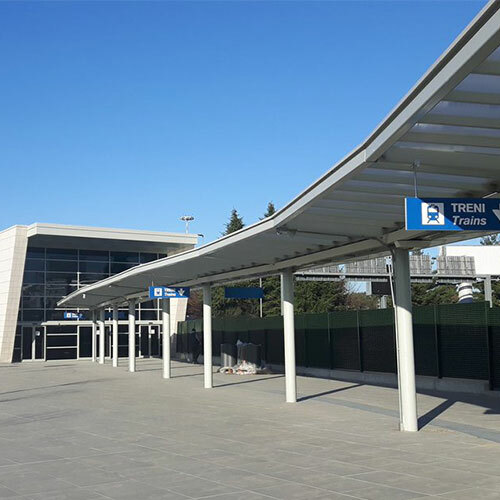 The resulting building was lightweight and very cost effective.